The campaign to bring the alleged Ugandan warlord to justice was not the subject of any mass lobbying in Ireland. THE DEPARTMENT OF Foreign Affairs has said that it received just two emails in relation to the online campaign to have the alleged Ugandan war lord Joseph Kony brought to the International Criminal Court (ICC). In response to a query from TheJournal.ie a spokesperson said that two emails had come into the office of the Minister of State for Trade and Development Joe Costello. The campaign came to prominence last month after a viral video, entitled Kony 2012, received tens of millions of hits within hours of going online and briefly became the most viral video in internet history. In the video the charity, Invisible Children, called for a global ‘Cover the Night’ campaign where posters would be plastered in “every city, on every block” in countries around the world on 20 April. It also encouraged people to lobby their local politicians to take action. While it’s possible that more correspondence was received, there was no indication of a mass email campaign or letters to the Department of Foreign Affairs, a spokesperson confirmed. But as the Guardian reported on Saturday, the ‘Cover the Night’ event failed to take off with low turnouts across north America, Europe, and Australia. Speaking in the Dáil last month, Tánaiste Eamon Gilmore said he was “greatly concerned” that Kony and his collaborators remain “at large” while the EU’s foreign affairs chief, Catherine Ashton, has backed the campaign to catch Kony and bring him to the ICC. The campaign has caused controversy with many questioning the motives of the charity and criticising its selective view of a complicated situation in Uganada and other countries in the region where Kony’s Lord’s Resistance Army (LRA) have operated for three decades. Its founder Jason Russell was later hospitalised after he was detained by police who were informed that he was drunk, vandalising cars and masturbating in public in California last month. In a second video released earlier this month, Invisible Children addressed some of the criticism levelled against it following the initial video, highlighting some of the aid work it undertook in Uganda. Email “Department says it received two emails in relation to 'Kony 2012' campaign ”. 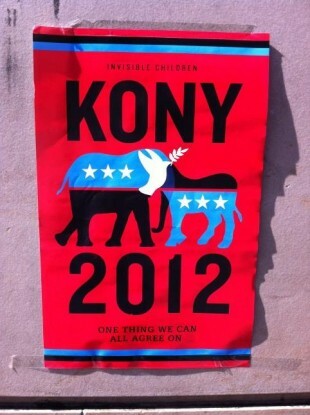 Feedback on “Department says it received two emails in relation to 'Kony 2012' campaign ”.